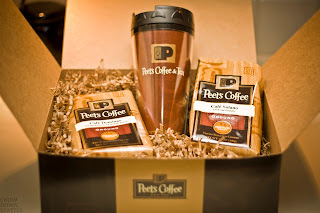 A few weeks ago I received two bags of Peet's Coffee and a travel tumbler from Foodbuzz.com. 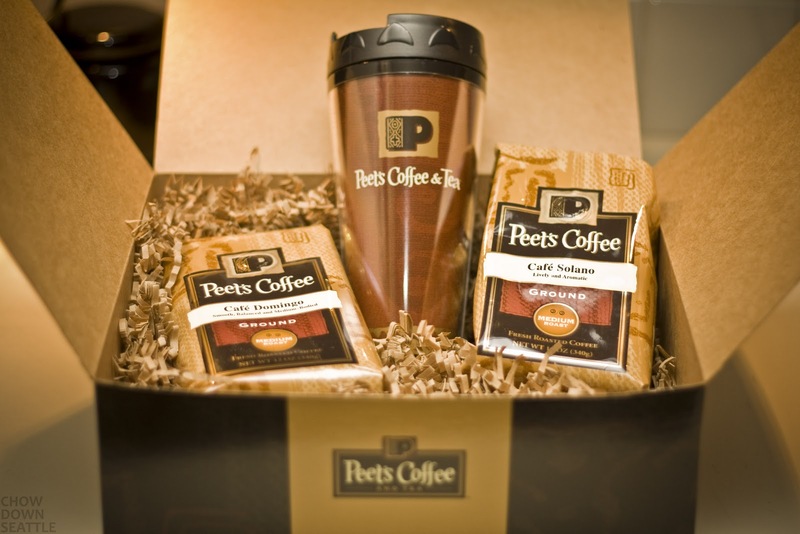 These gifts were received as part of their Tastemaster program with Peet's Coffee. All participants were asked to pair the coffee with a brunch or dessert item and post about it in our blog. I decided to create a Pecan Coffee Cake. I paired the coffee cake with Peet's Cafe Domingo Coffee. The coffee is smooth, balanced and medium-bodied. I thought it would pair well with the coffee cake. I decided to add a tablespoon of the ground coffee to the coffee cake mixture to give it a slight coffee taste. 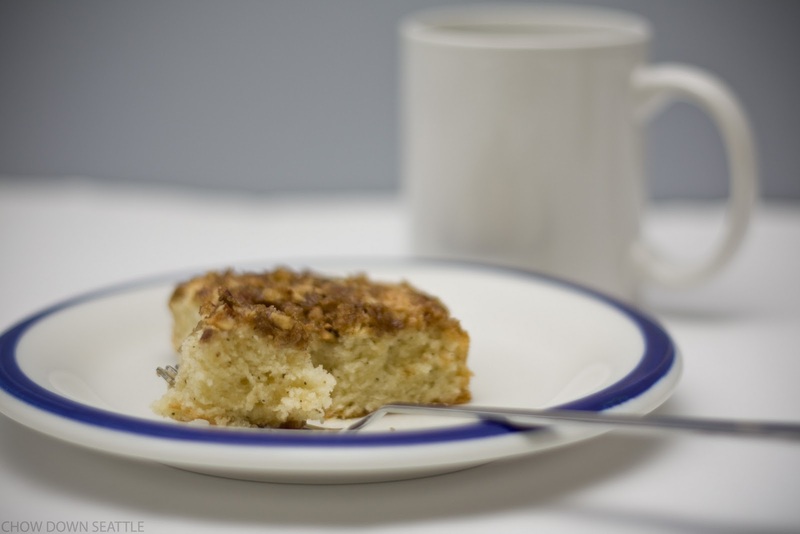 The coffee cake is quite delicious and it goes well with Peet's Cafe Domingo coffee. Peet's Coffee would like me to pass along a coupon worth up to $3.00 when shared with three friends. Click here to take advantage of this great offer! Preheat oven to 350 degrees F (175 degrees C). Line a 9x13 inch pan with aluminum foil, and lightly grease with vegetable oil or cooking spray. Sift together the flour, baking powder, and salt; set aside. In a large bowl, cream the butter until light and fluffy. Gradually beat in sour cream, then beat in sugar and Peet's Cafe Domingo Coffee grounds. Beat in the eggs one at a time, then stir in the vanilla. By hand, fold in the flour mixture, mixing just until incorporated. Spread batter into prepared pan.